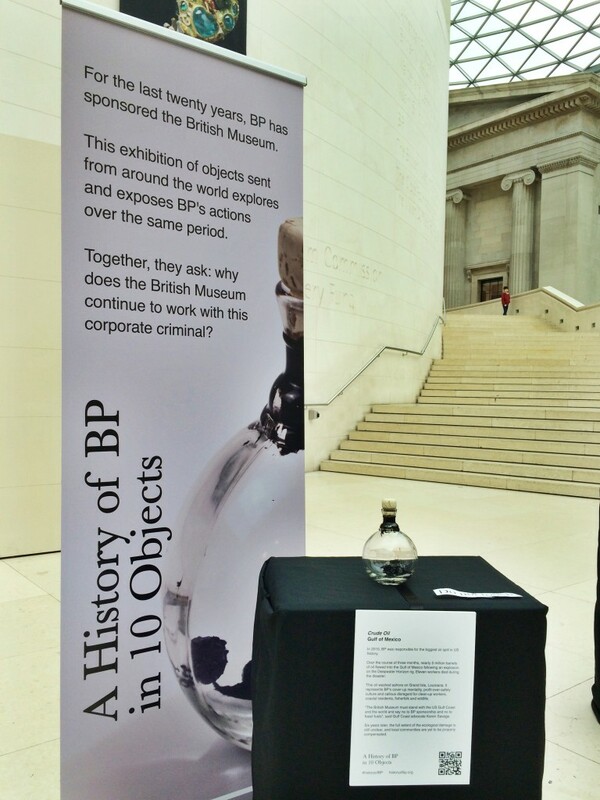 On Shakespeare’s birthday, a letter in the Guardian – BP or not BP? Posted on April 23, 2012 by BP or not BP? Today is Shakespeare’s birthday, and marks the launch of the World Shakespeare Festival. Yet what should be an unabashed celebration of Shakespeare’s continued relevance to our world has been sullied by the fact that the festival is sponsored by BP. While the aftermath of the Deepwater Horizon spill continues to devastate ecosystems and communities, and the highly-polluting extraction of tar sands oil brings us rapidly closer to the point of no return from climate change, we feel that BP has no place in arts sponsorship. We, as individuals involved in theatre and the arts, are deeply concerned that the RSC – like other much-cherished cultural institutions – is allowing itself to be used by BP to obscure the destructive reality of its activities with a veneer of respectability. We would like to see an end to oil sponsorship of the arts, and are committed to finding more responsible ways to finance this country’s cultural life, for our own and future generations.